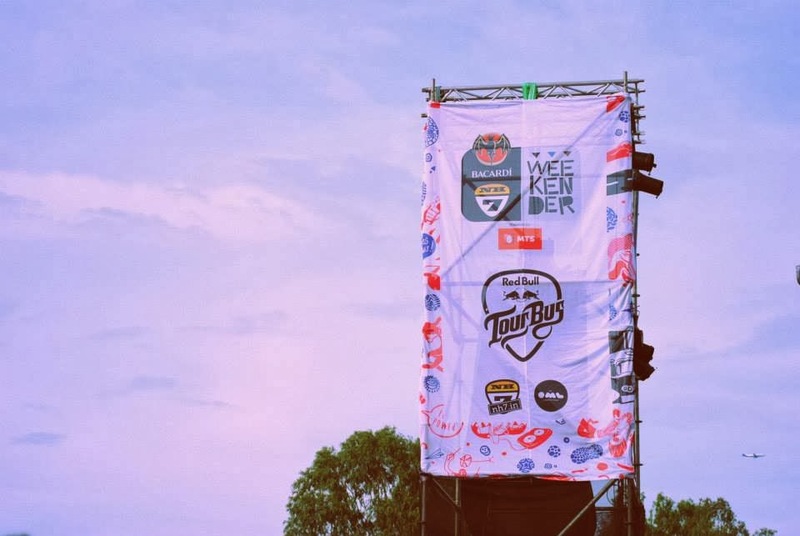 NH7 markets Weekender as the "happiest music festival". And I daresay that I would completely vouch for them. After all, what can be happier than chilling with some of your closest mateys from college, on a Bangalore weekend, with lots of good food, and tons of great live music? Yes, the rain did play spoilsport throughout Saturday, resulting in the cancellation of several acts that I had been looking forward to (the F16s, TessaracT), but I won't be complaining about that even one bit. And though my sore throat would beg to differ, it's not the soaking wet sweat shirt that I had on me that I am going to complain about either; nor will I complain about the getting-stranded-in-the-rain-after-the-event-and-looking-for-a-place-to-crash. Because these trifling incidents were to be honest, exactly that: trifling incidents. And it certainly didn't mar the madness and general awesomeness that was prevalent throughout the weekend. 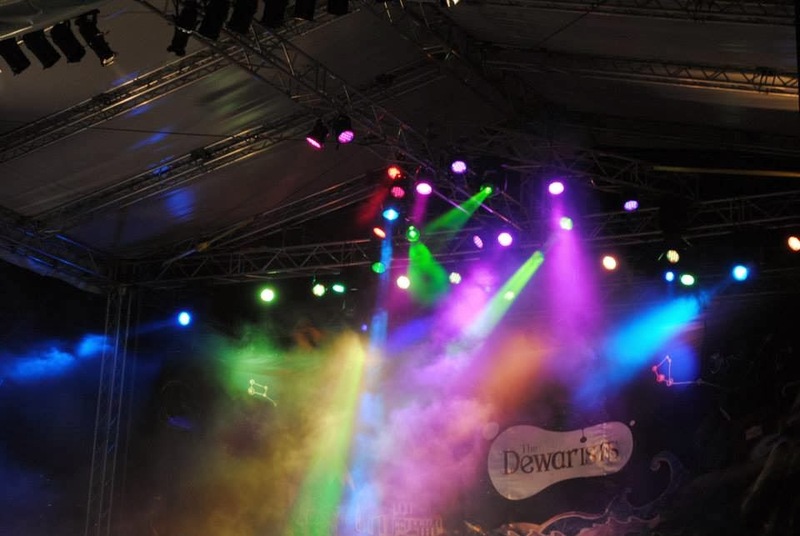 There were quite a few good acts on Day 1 - including but not limited to Inner Sanctum on the Bacardi stage, which we skipped for some reason, Lucky Ali on the Dewarists' stage, and Kate Miller-Heidke - a surprisingly good Australian duo who performed under a makeshift umbrella. With TessaracT out of the equation, it had to be the epic Manganiyar Seduction who took upon their shoulders, the responsibility to give a fitting end to the day. Their theatrics, their brilliantly lit boxes - each of which housed one performing artiste, their mutual synchronisation - made for a musical act, quite unlike any that I have ever seen. When it finally ended, it was a bunch of dazed fans who made their way out through the muck and slime of the Embassy International Riding School, some wringing water out of their t shirts, while some trying to locate their lost slippers in the mud. Day 2 dawned with some much welcome sunshine, though we were all expecting the rain clouds to gather by the evening. Hence, when we braved our way to the venue that Sunday, we were armed to the teeth with umbrellas, raincoats and ponchos. And of course, it didn't rain. What we did get however, was a plethora of insane acts, which kept us hurtling back and forth between the Red Bull Tour Bus and the Bacardi stage. It began with this very talented post-rock act called Until We Last, followed by some of the finest classic rock and blues guitar music in the country - featuring Amyt Datta and Warren Mendosa of the Fender Benders. This was followed by an pretty awesime gig by the indie band Skrat; after which Baiju Dharmajan proceeded to blow a thousand minds around the arena with his guitar work on the Bacardi stage. Next up, were Hey Geromino - an indie-band from Australia playing on the Tour Bus, alongside Nishchay Parekh who galvanised a big crowd around the MTS Other Stage with his sublime vocals. As the sun set and the lights were turned on, the Bacardi stage was witness to none other than Papon - the Asamese singer who captivated the audience. His stage presence and the immaculate ease with which he sang, bordered on the surreal. Belting out hit after hit, and keeping the audience transfixed - he could very well have been the center of attraction for the entire evening. And as if that wasn't all, Swarathma were up next, dishing out their usual Indian fusion music, atop the Red Bull Tour Bus - and doing one heck of a job, while at it. The final act of the weekend was the NH7 All Stars which saw several of the artists who had performed earlier, get together on the Bacardi Stage and dish out on last helping of good music to the fans. When it ended, I couldn't but help feeling the metaphorical void somewhere within me, because, I knew, that I would have to wait for at least a year to experience this magic again. Here's a final shout out to Dipanjan Nag, to @updownstream (otherwise known as Nepolika Bonapalaka), Vegetarian Sriram, to Rajat Tibrewal, to Shaleen Kumar Sharma - and a big shout out to Bangalore for making this edition so memorable.